So, how does Hashimoto sound? The 845 SE Power Amplifier built by Mr. Kiyokazu Matsunami was my first listening experience with a Hashimoto Single-Ended Power amplifier. Then, I have listened to Single-Ended 300B, PX-25, 211, etc during my visit to Japan in May and October 2005. 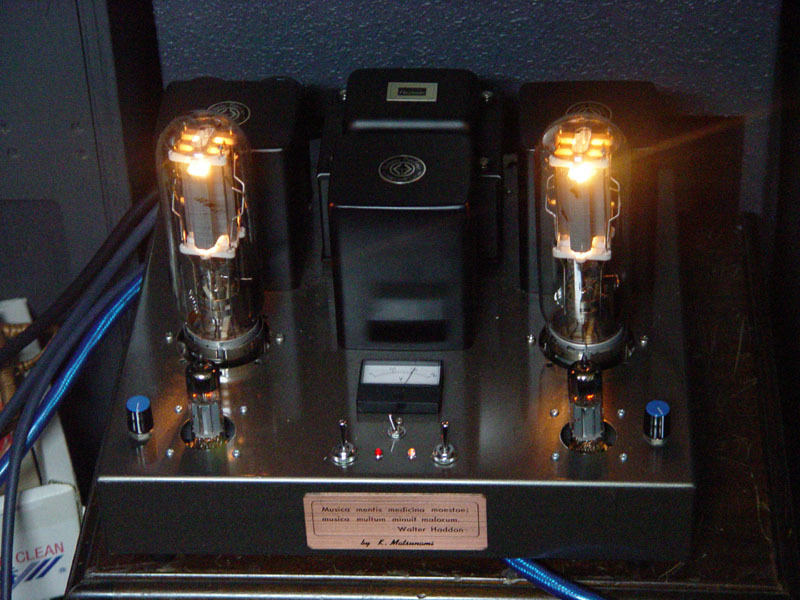 After I came back from the trip to Japan in October 2005, my first priority was to built my own 300B Single-Ended amplifier using all Hashimoto transformers. I chose the circuit developed by Mr. Mayumi Cho, and modified it to be able to test various aspects in which I have been curious about, such as voltage regulated DC filaments v.s. hum-balanced AC powered filaments, ordinal rectifiers v.s. Schottky Barrier Diodes for B+, etc, etc, with the total of five switches into 32 different combinations. The voltage amplification stage of this amplifier uses a 12AT7 in SRPP, and a 300B is driven by the 12BH7A cathode follower connection. 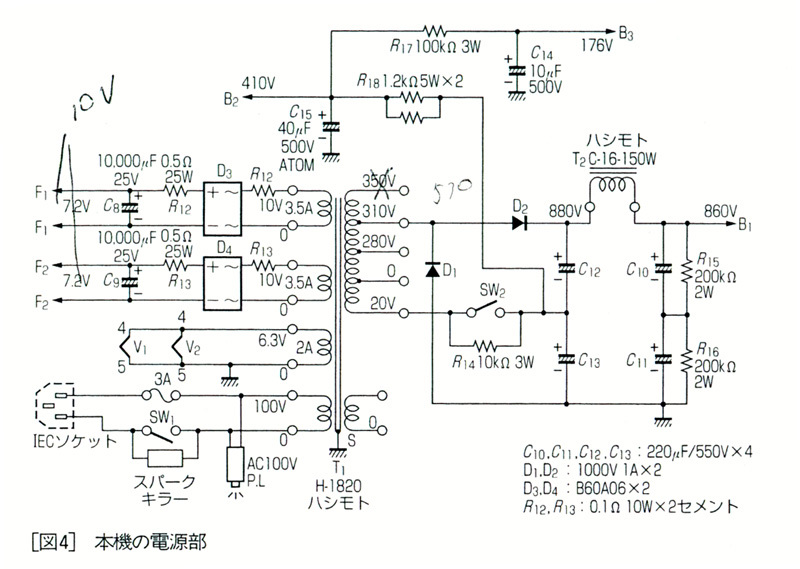 Some actual photos and the modified circuit can be seen at http://www.tube-amps.net/EA_CFD300BSE_01.htm. From my listening experiences in Japan as well as my own 300B amp, I would say Hashimoto Single-Ended transformers can reproduce the clearest and the most vivid mid to high sound with tight, but powerful low frequency. When I play female vocal without any back ground music, classical violin solo, or jazz piano, my Hashimoto SE shines the most. Closing my eyes, I could almost feel these instruments in the air as if they were there. 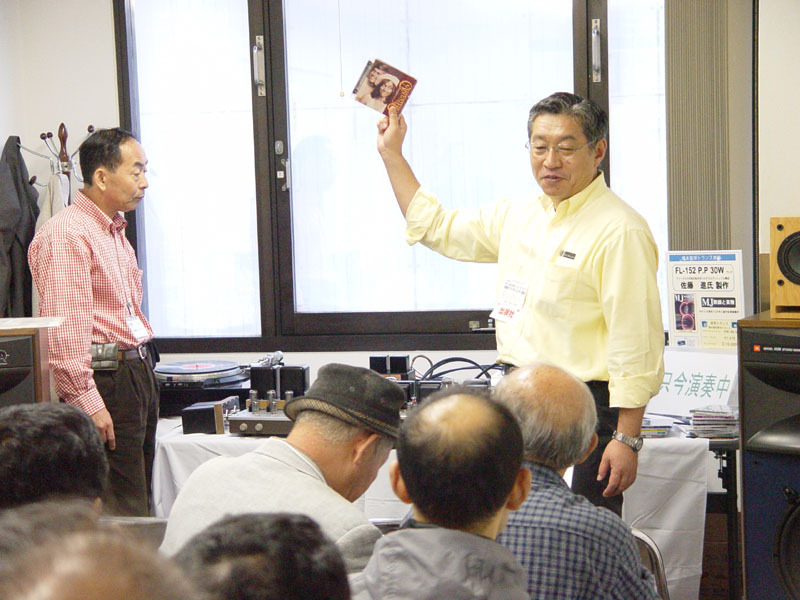 During the 11th Tube Audio Fair 2005 (October 8th and 9th in Tokyo), Hashimoto demonstrated the output transformers comparison tests for several times in two days. The sampling software had covered vocals, instruments, jazz, and orchestras on LP's, CD's, and SACD's. 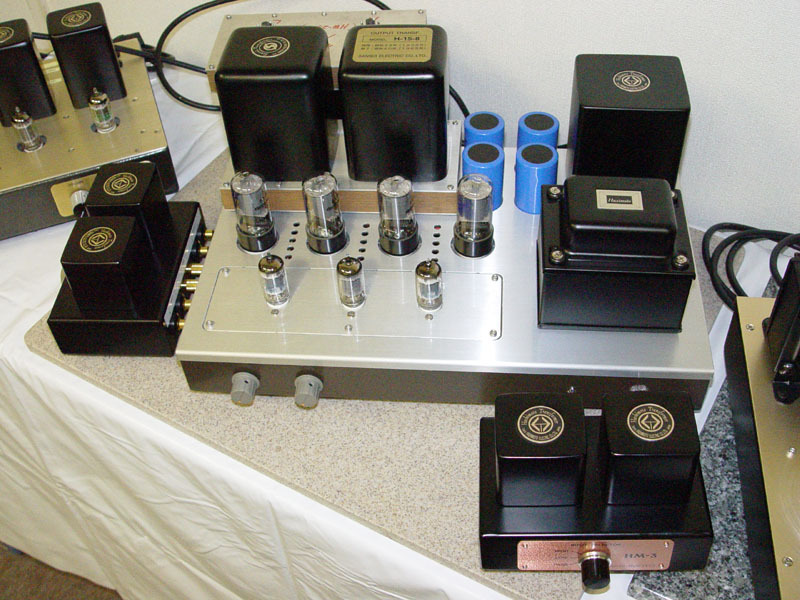 The testing amp was the custom made instant-output-transformer-replaceable power amplifier designed and built by Mr. Kenji Tanaka (more about Mr. Tanaka below) for this demonstration. 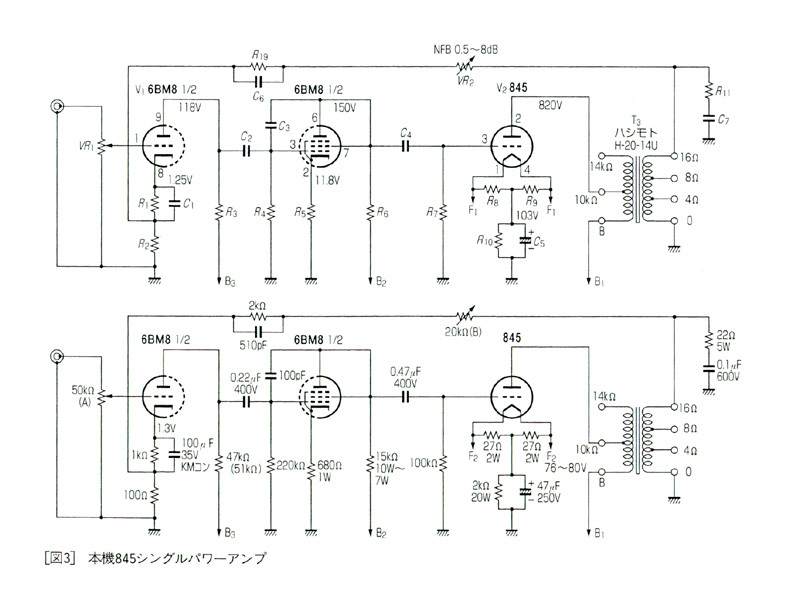 The output transformers being compared were Sansui H-15-5 (1958-1965) and Hashimoto H-20-5. By considering the time period in which the H-15-5 was produced, this transformer must be a little brother of those on the most popular Sansui tube amplifiers and receivers, such as Sansui Model AU-70, AU-111, 500, 500A, 1000, and 1000A. 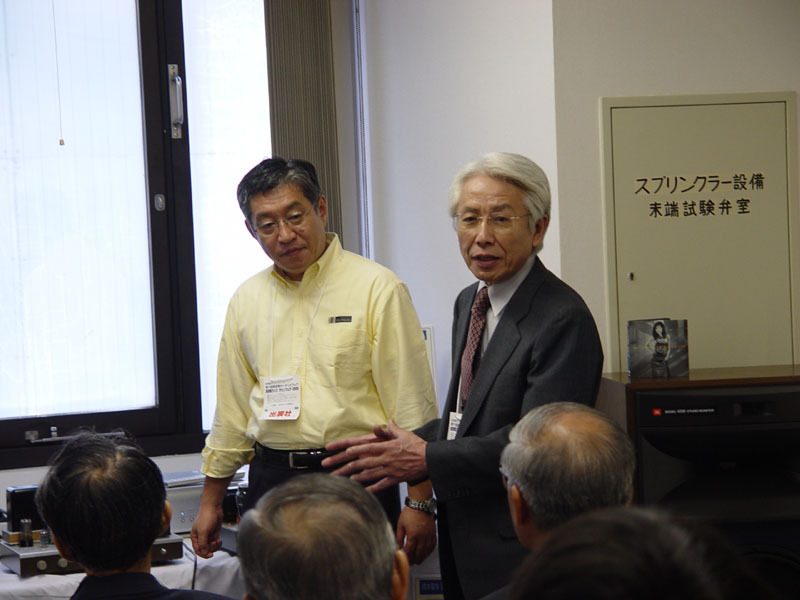 At the beginning, Mr. Sunaga and Mr. Mitsui with Hashimoto started playing a orchestra CD with the Sansui H-25-5. Immediately after the music started, I had heard the typical Sansui sound I have been so familiar with - very natural high to mid with powerful low. This is the typical Sansui sound being maintained through 1970's, 1980's and even 1990's (except the AU-D9 and the AU-D11) although during the 1980's and 1990's, the high-range became much more transparent and the low-range became somewhat more natural or tighter via models such as, the AU-G99X, the AU-X901, and the Alpha Series Amplifiers. 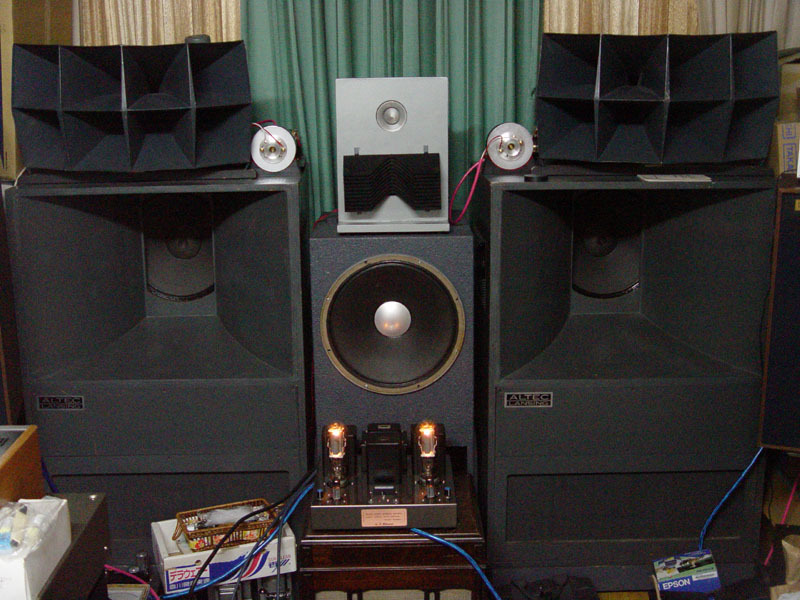 After about a few minutes of listening, Mr. Sunaga and Mr. Mitsui replaced the piggy-backed transformer-mounting-base with the one with the Hashimoto HW-20-5's. In a few minutes later, the sound I had heard was just astonishing - the high-range became much more transparent and the low-range became tighter. But, that was not an exact impression I had felt at the moment. It was as if an invisible screen or veil was suddenly removed before me - what I had heard was just real-life like music - extremely vivid. To be fair, the sound I have heard from the Hashimoto transformers could be still similar to Sansui sound that is common among later models I have mentioned above, but my impression at that moment was just "Wow!" This exact experience had continued at every set of comparison test throughout the show - no matter which software or source media was chosen. 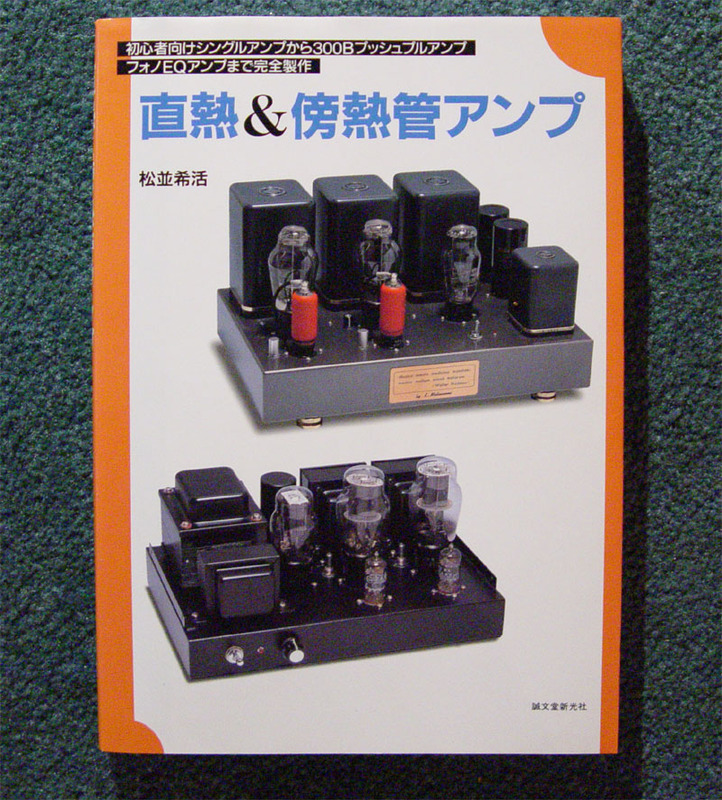 Therefore, what I can say here with confidence is that Hashimoto Push-Pull output transformers are definitely improved from its predecessor; Sansui output transformers, that were by the way, one of the best at that time. In my opinion, the best sounding set among 10 amps being demonstrated in the "Listening Vendors' Amps" event. Mr. Kenji Kanaka is also Sansui ex-employee. The owner of Ken Audio in Tokyo. 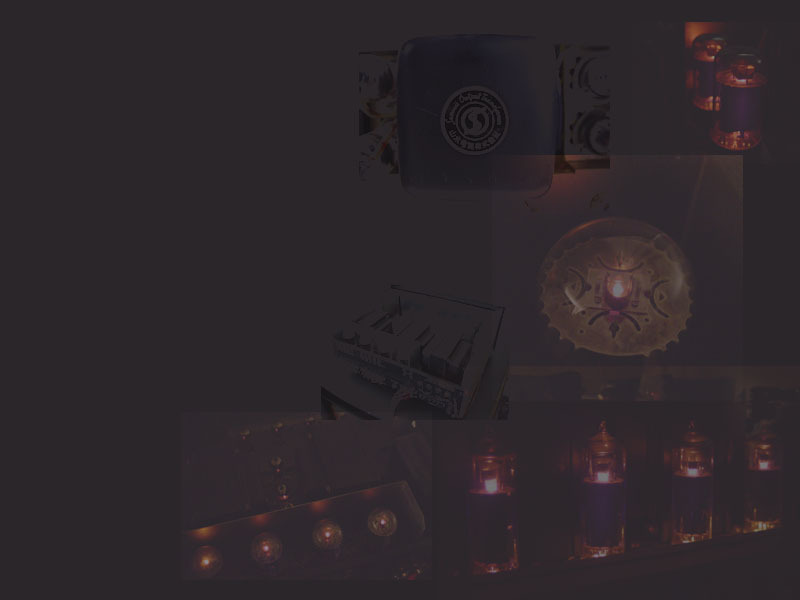 He is the one who built an amp that is shown on Hashimoto catalog. If you want to have a top-quality finished Hashimoto amp by Mr. Tanaka, please contact me.